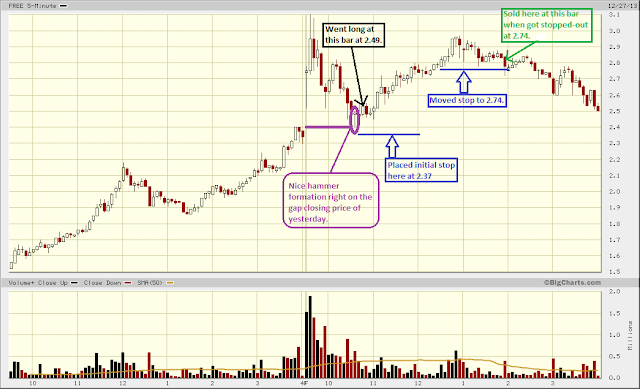 TRADER 9: Trade of the day, FREE!!! Trade of the day, FREE!!! So I was only looking for FREE to close its' gap price from yesterday's close to catch a quick bounce, and it somewhat worked out decently. 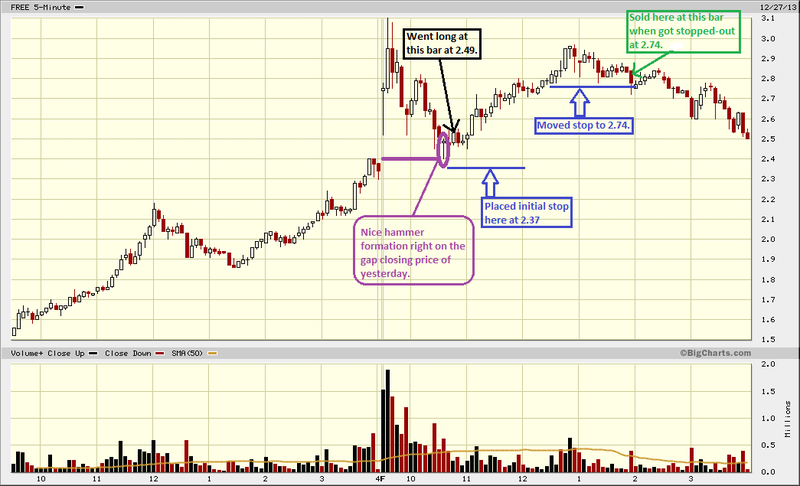 When long 2500 shares at 2.49 after a nice reversal hammer formed on the 5 minute chart. I was looking for a profit target of at least .50 cents (hoping that it was going to bounce back to the low 3's), but unfortunately it didn't get that far, and I sold it at 2.74 when my trailing stop got hit. Still a nice profit though of $625. I'm most likely done posting trades on this blog for 2013, so have a great new year, and see you in 2014 with more of my "Trade of the day".